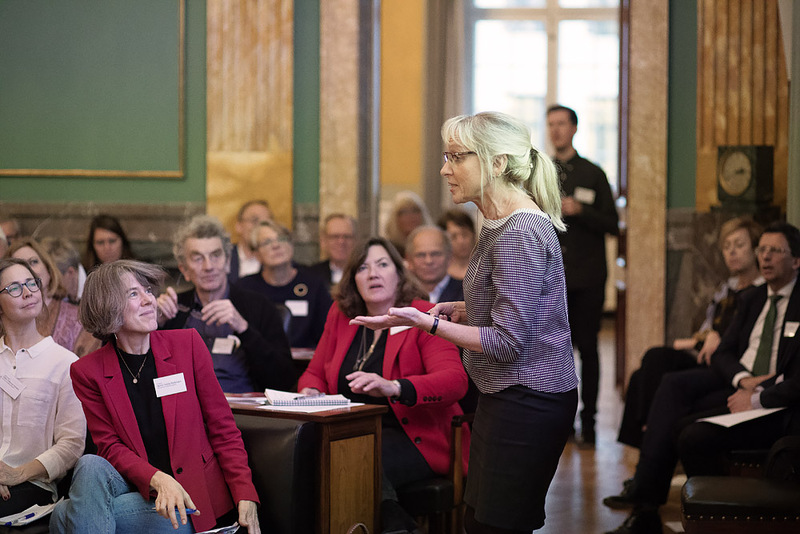 On Friday, November 9, the DNRF’s annual meeting was held at the beautifully decorated premises of the Royal Danish Academy of Sciences and Letters. The foundation had invited DNRF grantees and research political stakeholders from all over the country to a day of presentations and debate. The theme of this year’s meeting was diversity and excellence in research. The foundation’s booklet Diversity and Excellence in Recruitment and Career Development set the tone for a discussion of diversity in research, and what the relationship between diversity and excellence is when it comes to recruitment and career development. What does diversity mean? What conditions are needed for excellent research to emerge from diverse research environments? And can focusing on diversity hurt the research itself? These were just some of the questions addressed at the annual meeting. The DNRF chair also addressed diversity in terms of gender balance in research. Even though gender balance has improved in recent decades, statistics from Denmark show that many more men than women end up with a career in research, although there is an abundance of women at the master’s level. The statistics show that Denmark performs worse than Sweden and Finland when it comes to gender balance in research. 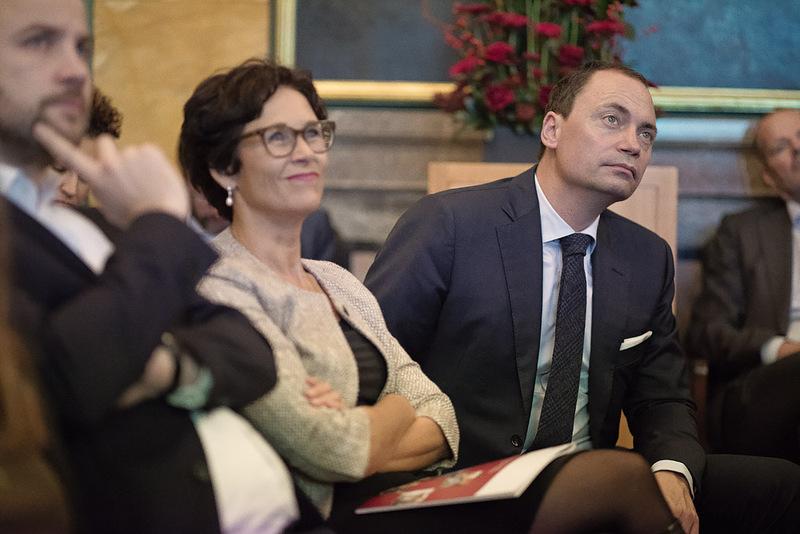 Højgaard further emphasized that the DNRF has focused on gender balance during her term as chair of the foundation. During the past two application rounds, more women than previously have received funding for Centers of Excellence from the DNRF. 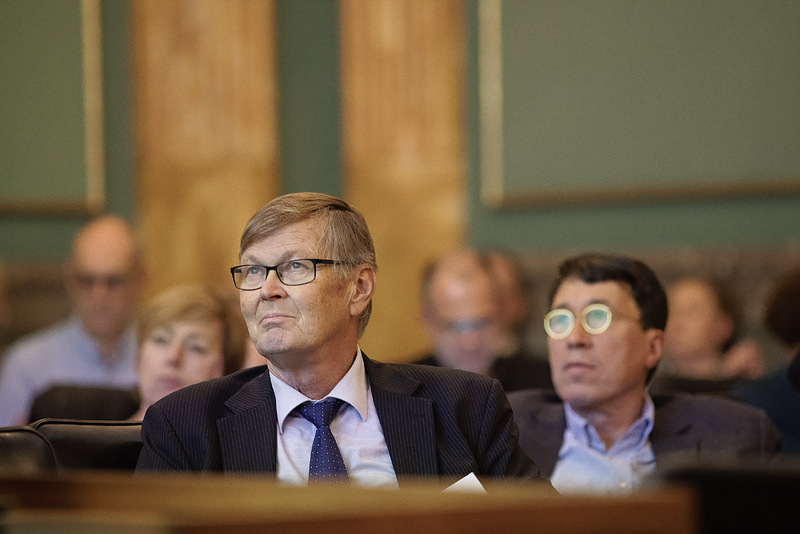 After a period of six years as chair of the DNRF, Professor Højgaard will step down at the end of the year, and the minister of Higher Education and Science, Tommy Ahlers, began his speech by thanking Professor Højgaard for her efforts as chair of the board, saying that he was glad that Højgaard introduced him to basic research and its importance when he was a newly appointed minister. 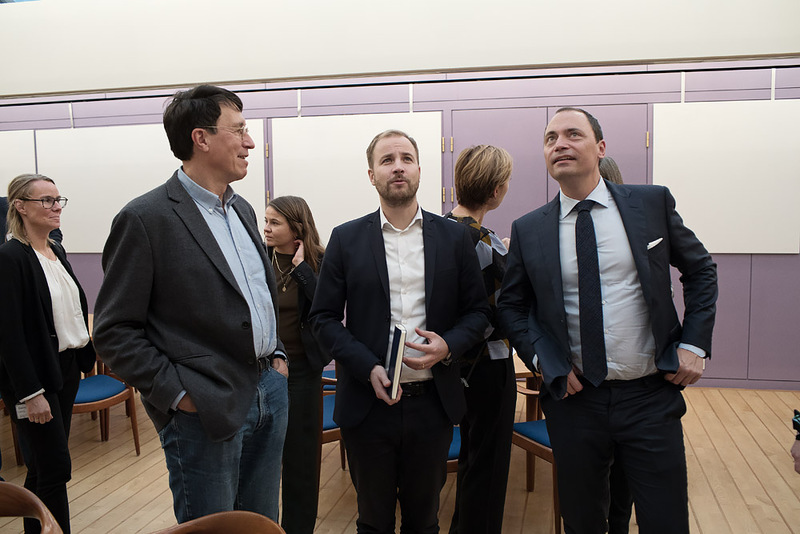 Subsequently, the minister pointed out that if Danish research wants to stand out from the crowd as exceptional, innovative, and groundbreaking, diversity must be integrated into the core of the way in which research is conducted. “We must prioritize diversity in research – not because we want to be politically correct, but because we will achieve better results,” the minister added. “Many of the Centers of Excellence have expanded recruitment processes to ensure that the candidates add something new to the group as a whole. 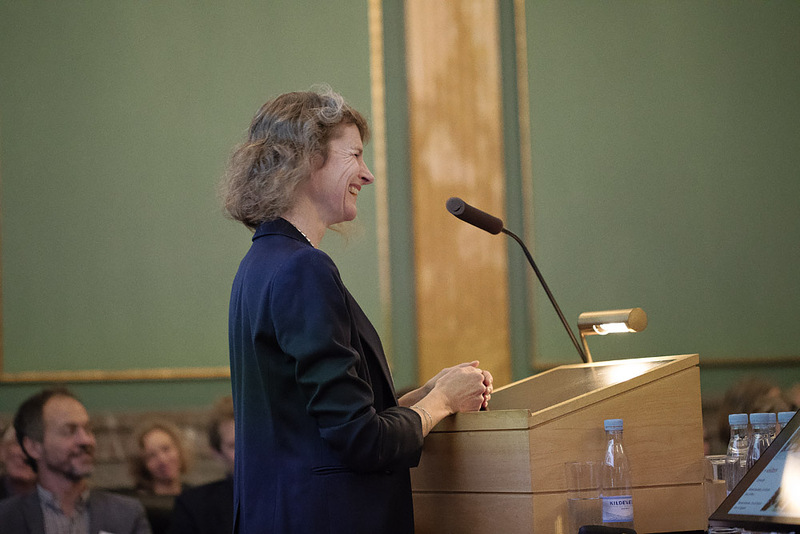 I encourage the Danish National Research Foundation and the foundation’s grantees to continue on this course. Keep showing the world that diversity is a prerequisite for excellence. And keep showing that what really drives research is sharp minds working together across fields, nationality, gender and age,” the minister concluded. 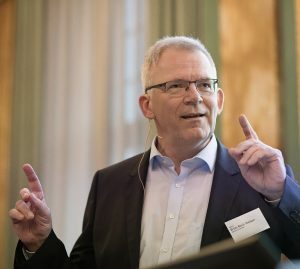 The CEO of the Danish National Research Foundation, Professor Søren-Peter Olesen, emphasized in his speech that with this year’s theme, the DNRF wanted to address the idea that the combination of diversity and talent can help to realize the potential of excellence. The meeting focused on diversity and excellence, not one or the other. 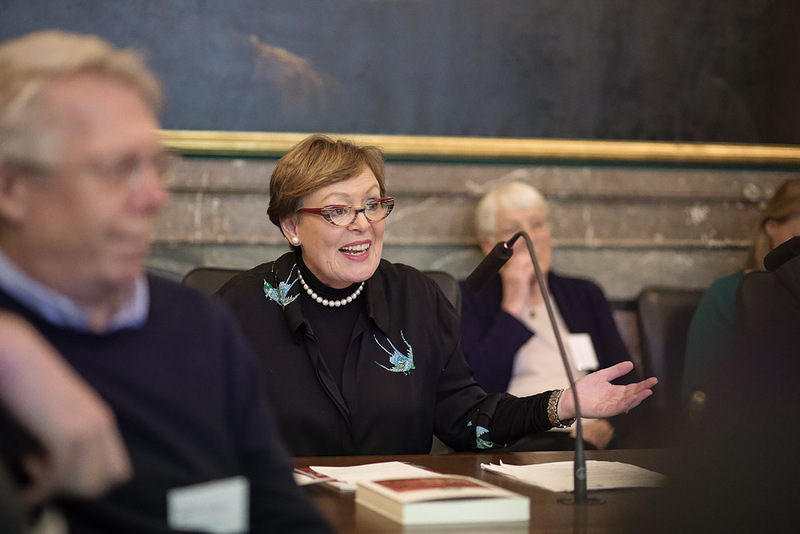 Olesen further said that the internationalization of Danish research has been the strongest driving force for diversity in Danish research during the last few decades. But the challenge remains that international researchers do not have the same opportunity to obtain positions in Denmark as Danish researchers have. The recruitment methods can help to solve this problem. 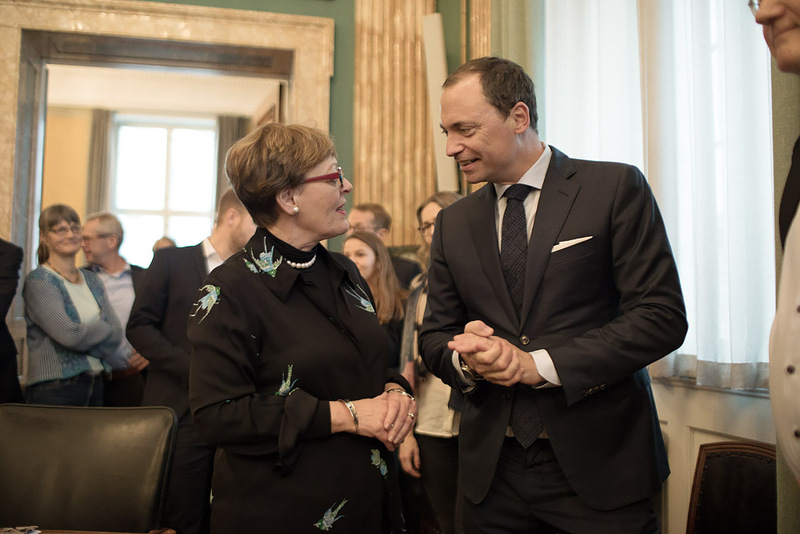 “The centers are magnets with the ability to attract world-class scientists, and this asset should be used to leverage the Danish research environment with the brightest and most diverse talents. 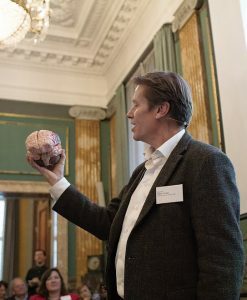 And, hopefully, some of their procedures can inspire the Danish academic world at large,” said Professor Olesen. 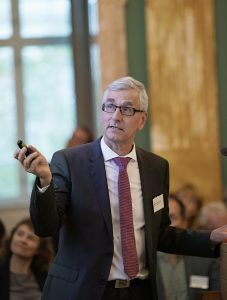 Internationalization and recruitment were also the focal point when the rector of Aarhus University, Brian Bech Nielsen, in his slide presentation showed that, in 2017, only 16 percent of the university’s lecturers and professors where from another country. Although this number has slightly improved in recent years, and although the university has increased its focus on international recruitment to promote diversity, the progress is slow, and there is room for improvement, the rector acknowledged. “Numbers are numbers – we have a challenge. We need to find a way to change the situation,” said Nielsen. 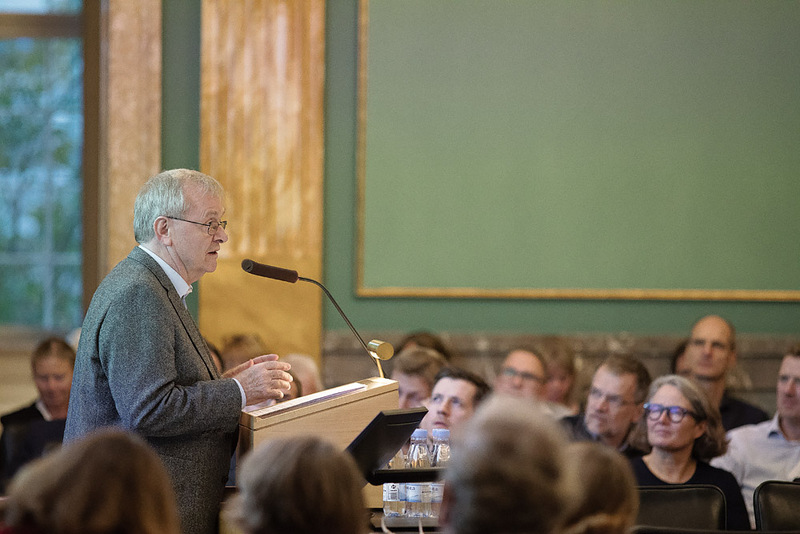 The rector concluded his speech by mentioning the fact that permanent research positions are long term and expensive investments worth several million DKK, which just illustrates the importance of thorough and broad recruitment. 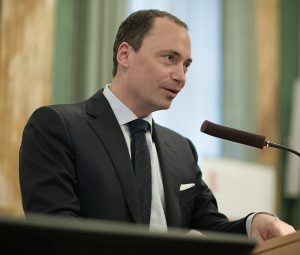 That there is a problem in general with broad and international recruitment in Danish research was further stated by the chair of the Danish Council for Research and Innovation Policy (DFiR), Professor Jens Oddershede. DFiR is currently investigating recruitment at Danish research institutions, and its examination shows the same picture: there is room for improvement in terms of recruiting broadly and openly. But it also shows that the situation has improved during recent years. 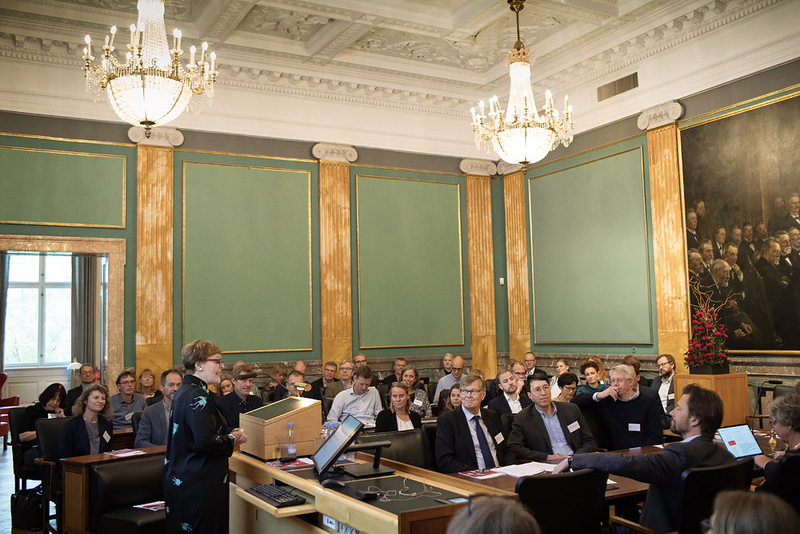 Professor and head of the DNRF center PRIVACY, Mette Birkedal Bruun, shared her experience with using a recruitment seminar to locate the right candidates. 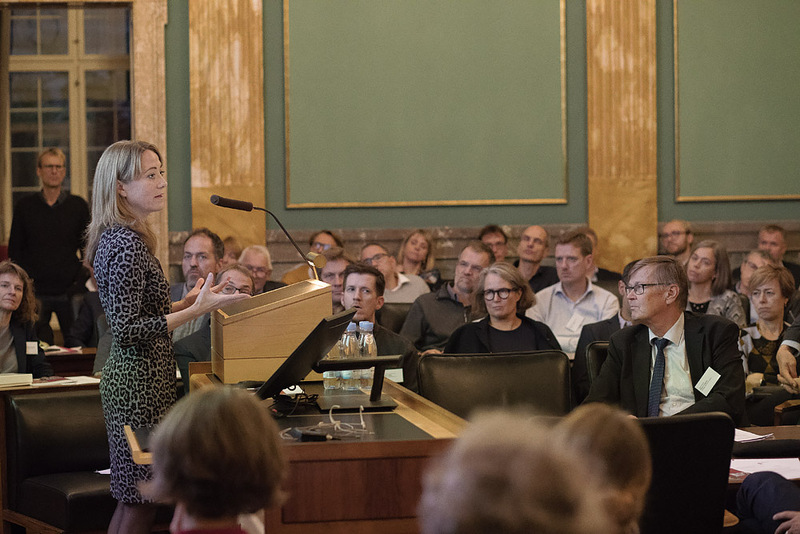 Birkedal Bruun pointed out that because the research at her center focuses on privacy within a variety of different areas such as politics, architecture, legislation, culture, and religion, it is important that the research group be similarly diverse. “In addition to being an inspirational process, the seminar meant that we could establish PRIVACY’s ethos in the candidates before the actual hiring process. At the same time, the candidates became aware of who and what the center was. This resulted in dedicated and precise applications and, ultimately, an aligned core in the research group. 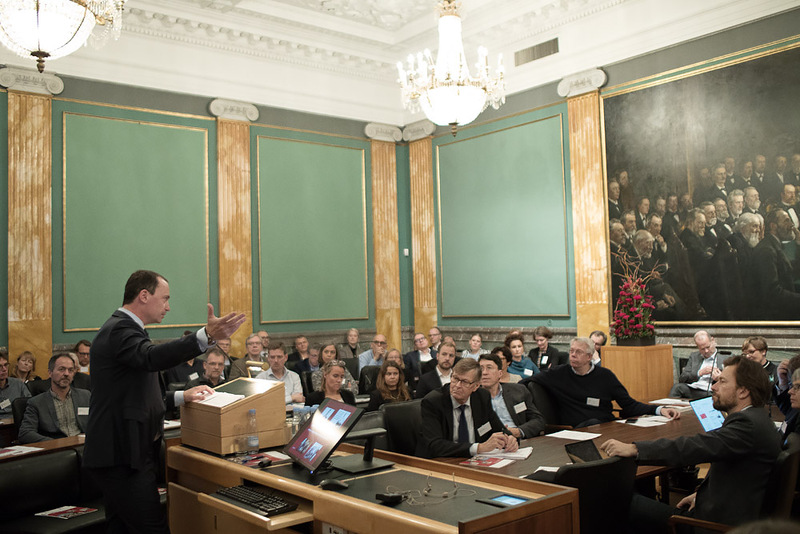 Using the seminar for recruitment also meant that most of our new employees had already met and interacted,” Birkedal Bruun said. 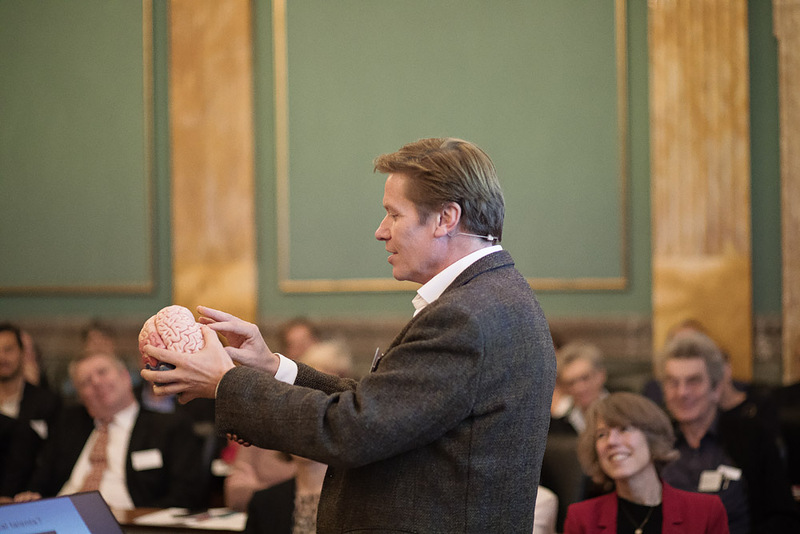 Head of the DNRF Center for Music in the Brain (MIB), Professor Peter Vuust, emphasized in his speech how diversity also reflects that – because the brain is biased – we are naturally biased in relation to our way of looking at the world. Using music as an example, Vuust illustrated how our minds try to reach recognition, when exposed to new impressions. Depending on where in the world you came from or how you grew up, the brain perceives the world completely differently. A person born and raised in Europe, for example, will hear the same piece of music in a different time signature than a person born and raised in West Africa. It takes 8-9 years to change this, which says a lot about how effectively bias plays into our beliefs and judgement – in many cases, without we ourselves registering it. 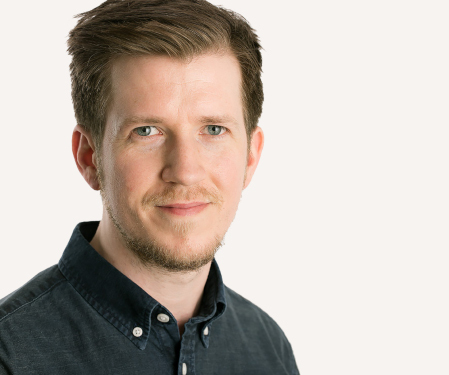 In relation to this, Professor Vuust pointed out that we need to address the issues that may arise for foreign researchers who want a position in Denmark. In addition to unconscious bias, there are also structural conditions that stand in the way of broad international recruitment; parts of Danish legislation, ETCS requirements for foreign masters, requirements for Danish language skills and job opportunities for spouses/partners are just some of the problems. 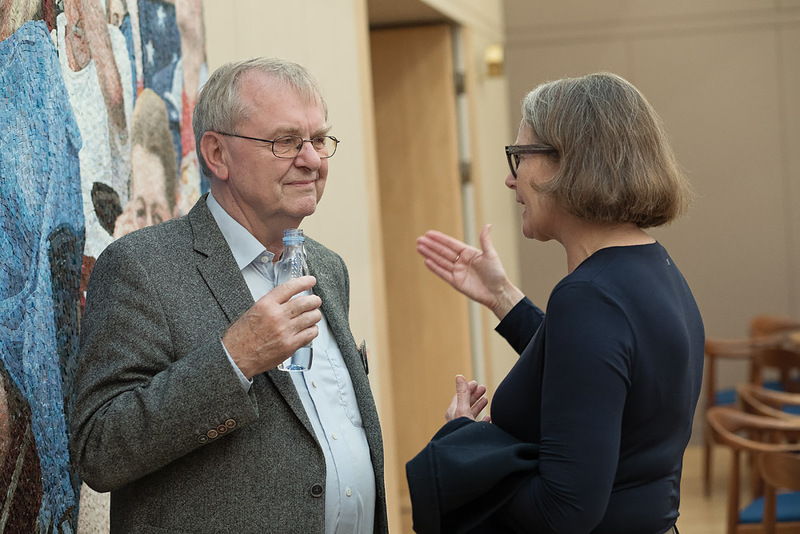 The presentations at the DNRF’s annual meeting 2018 revealed that diversity is a broad term that goes beyond the parameters usually measured: internationalization, gender and age. A common theme of the presentations, however, was the consensus that diversity is important and necessary for excellence to thrive in research. 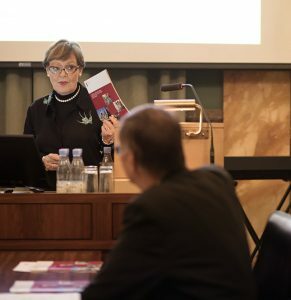 However, as Zoran Gojkovic, from the Carlsberg Lab, and Professor Susanne Mandrup, head of center at the DNRF center ATLAS, stated, there is also a need for a common approach to realizing the potential of diverse research groups. “The balance of diversity is about having different personalities and research skills, but a similar mindset. 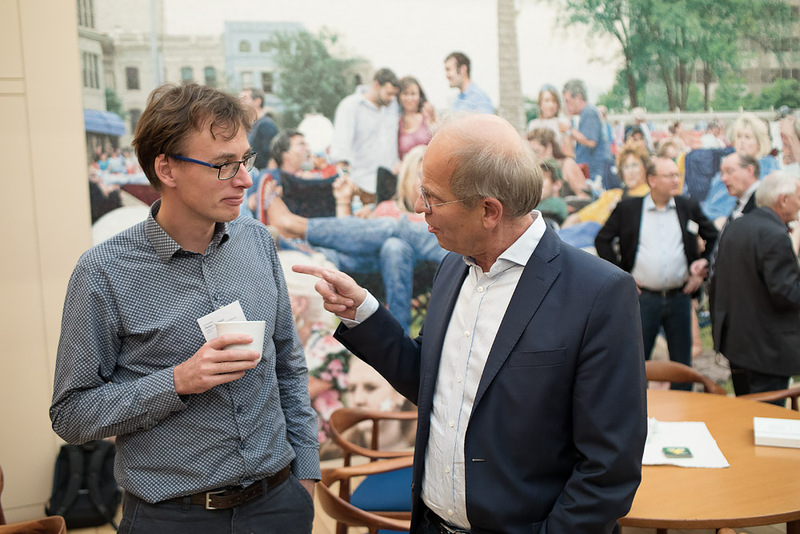 It is important that a group have the same ambitions and work ethic, so from that aspect, diversity is not desirable,” said Professor Mandrup. 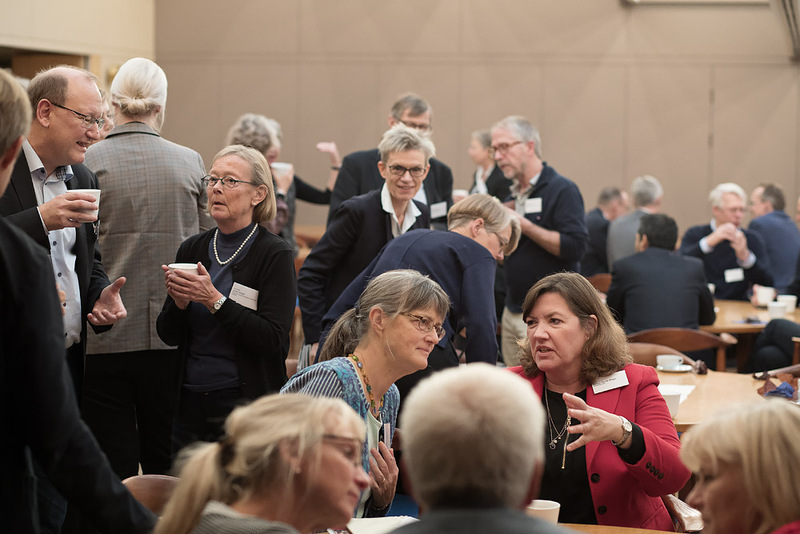 Read more about the DNRF annual meeting at Science Report here (In Danish).